Have you ever cut a tag out of a new shirt because it itches your neck? Or tried to have a conversation in a crowded room... it’s hard to hear the person you're talking to, right? Imagine having that itchy irritation all over your body or hearing background noise amplified 10 times — children with sensory sensitivity often have overstimulating challenges like this. We all have a unique makeup of sensory input and now you will discover effective sensory-based protocol that significantly decreases autism symptoms through practical interventions that can be customized for each individual's needs. Join nationally-renowned expert and author in sensory and modulation, Teresa Garland, MOT, OTR/L, in this revolutionary online course as she shares a multisensory approach to calm sensitivities and satisfy cravings. You will leave this course with fun and engaging approaches that keep a child's interest so you can help improve their sensory and self-regulation skills... and ultimately advance their future! Today Only £129.99 (VAT Inclusive) — An Unbelievable Value! Plus, earn up to 12 CPD hours included in the course tuition! 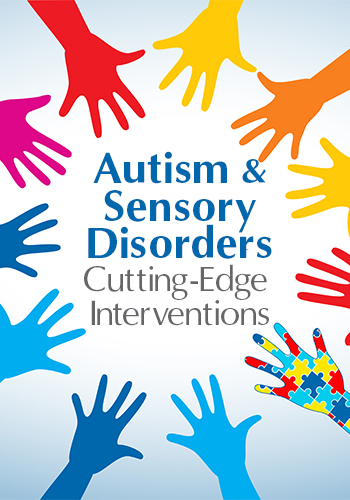 Learn cutting-edge interventions for satisfying sensory cravings and sensitivities in children (2-16 years) with autism and sensory modulation concerns. You will discover exercises that help children attend to, register and tolerate temperature, touch, sound, vision and vestibular activities. Through videos and demonstrations, you will walk away with dozens of new activities to use with your clients and students to incorporate into the home, school or early intervention classes. Walk away with step-by-step protocol that significantly decreases autism symptoms and sensory immersion strategies you can begin using immediately. Get started today! Retail Value of £159 — Included When You Register Today! This workshop focuses on the art of working with a child. Using the "10 core elements of good sensory interventions" as our guide, we will discuss strategies for therapists, educators and caregivers to deliver sensory interventions. Topics include: grading activities for the just-right challenge; making the child an ally and partner in interventions; keeping the child regulated; ensuring the child’s safety; and setting up the environment. We will also discuss ways to seamlessly incorporate sensory input into the day. In this workshop, you will learn how to customize and implement a sensory awareness and desensitization protocol for a child with autism of any age in a home or school setting. This evidence-based protocol (Woo & Leon, 2013, 2015) has been shown to reduce autism severity in children of all ages. You will walk away with 34 rotating activities that develop the child’s awareness to hot/cold, visual, touch, vestibular and sound sensations. Additional activities for speech, physical exercise and emotions are included and can be incorporated into the original protocol. You will learn how to adapt the 34 activities to give the child a just-right challenge. There will be live demonstrations of the activities. Learn story-based high intensity interval training (HIIT) that are fun and will make children giggle as they get in shape. These routines make children strong and give them on-the-spot regulation. We look at three 4-minute classroom routines and a 7-minute home routine. Plus, learn how to make your own FUNterval. You’ll also learn about high intensity interval training (HIIT) and how intensive exercise helps children to self-regulate. Create activities for the fidgety child, the sensitive child and the unmotivated child. This workshop presents new ideas, activities and projects to keep children with sensory modulation disorder happily immersed in pleasant sensation. There will be live demonstrations with children showing desensitization techniques for sound, texture and food. Additional demonstrations include activities for sensory-immersion in textures such as yarn, wood and stone, and in in scent, color, and music. We also take a brief look at the latest evidence for sensory interventions. Plus, earn up to 12 CPD hours — included in the course tuition! Absolutely Free When You Sign Up Now! Following a step-by-step recipe format, Teresa Garland, MOT, OTR/L provides over 175 activities and interventions to help children with their sensory needs. This highly detailed, illustrated and accessible guide is a rich resource for any therapist, teacher or parent. Teresa Garland, MOT, OTR/L, is an occupational therapist and author specializing in sensory and modulation issues. She has worked in schools, sensory clinics and medical settings with children and adults, treating sensory disorders, ADHD and autism. Ms. Garland works closely with other health professionals, teachers and doctors to understand and treat underlying sensory, timing, and coordination/motor planning issues as well as overlying socio/emotional behaviors and the symptoms of autism. She is trained/certified in the SIPT, Interactive Metronome®, Integrated Listening Systems (iLs), Therapeutic Listening, Wilbarger’s Sensory Defensiveness, the Natural Heart Approach, Mindfulness Training, and Food Chaining. Her book is titled, Self-Regulation Interventions and Strategies: Keeping the Body, Mind and Emotions on Task in Children with Autism, ADHD and Sensory Disorders. Learn more about Teresa Garland. 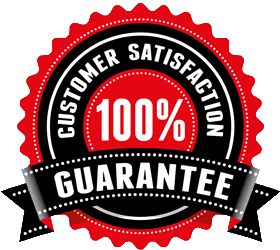 If you're not completely satisfied, please give us a call at 01235847393. We’re that confident that you'll find this learning experience to be all that's promised and more than you expected. Complete your CPD tests online at the completion of each module, with instant access to your CPD certificates - earn up to 12 CPD hours.